Featuring a 20mm bolt throw and anti-drill plates.They comply with BS3621:2007 or 2004. Have at least 1000 key differs. Have at least 5 levers (with anti picking features such as false notching). Have a bolt with a minimum throw of 20mm. Feature anti drill plates on both sides of lock. Non BS 5,3 & 2 Lever. 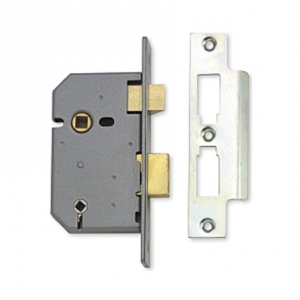 These feature lower levels of security and are suitable for internal doors only. These can be used with Wc Thumb Turns and are fitted to bathroom doors. Featuring a larger backset and are often used when the keyhole is parallel to the handle or knob. 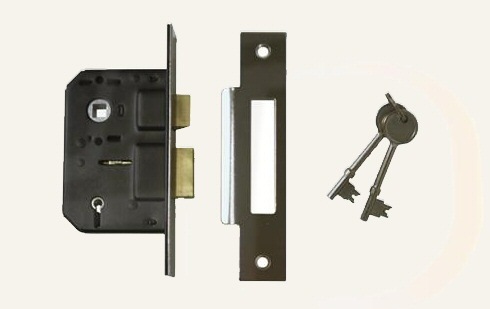 Locks with built in rebates to suit double or french doors. 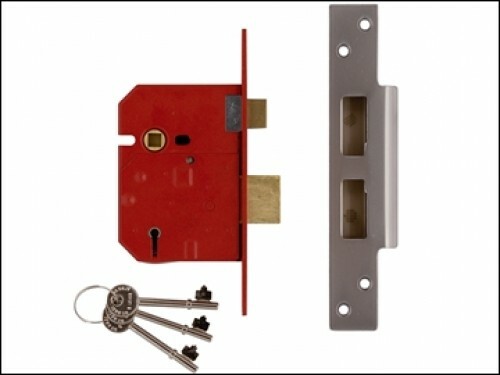 Locks with a hook or clawbolt to suit sliding doors. These feature rollerbolts rather than latches and do not need to be revered when fitting.